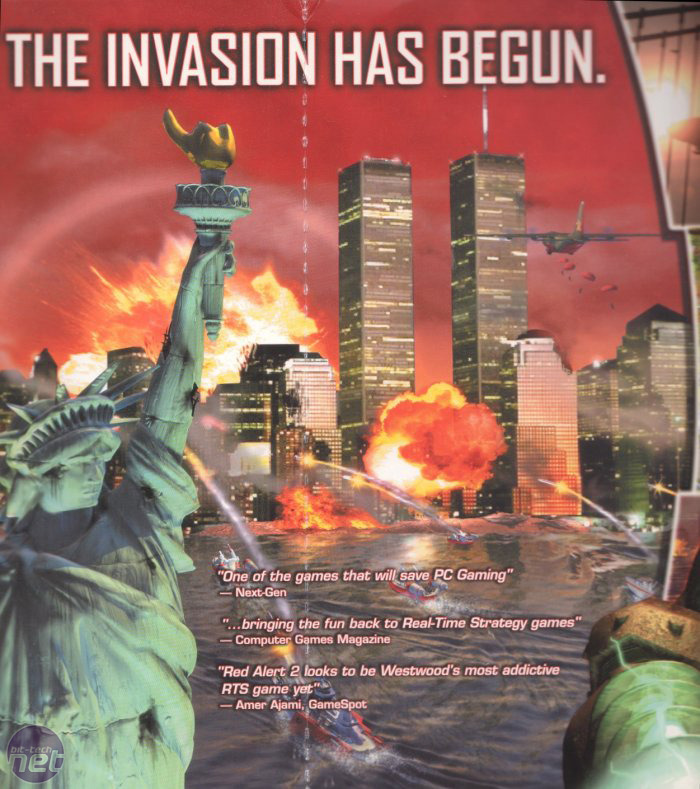 Aside from one or two abortive attempts at creating a game that actually revolved around 9/11 (such as the cancerous merchandising offshoot World Trade Centre, based on the equally questionable Oliver Stone film), direct references to 9/11 are notably sparse across the games industry. It’s therefore going to seem strange when I tell you that gaming has one of the most complex relationships with 9/11 of any artistic medium, and that this relationship is also a powerful indicator of where video gaming stands from a cultural perspective. Perhaps the oddest thing about the relationship games have with 9/11 is that it began with a curious retroactive denial that the twin towers ever existed; a move mirrored in other popular media. A fairly straightforward example of this was Command and Conquer: Red Alert 2. Released in 2000, it originally featured an image of a plane flying toward the twin towers on its back cover - an understandable cut from the marketing plan following the attacks. This was a simple alteration compared to the changes made to Spider Man 2: Enter Electro, however. Also released in 2000, the final battle of Enter Electro was set atop the World Trade Centre. After the attacks the game was pulled from the shelves, and the final stage was re-worked and re-released so that the final stage was no longer referred to directly and less resembled the twin towers. Whether this retroactive cultural redaction of the World Trade Centre from media was the right or wrong way to react to the attacks is a subject which is still debated. Yet it was perhaps more important for games to respond to the heightened sensitivity of the time than other cultural mediums, as the industry quickly came under fire due to the suggested use of Flight Simulator by the perpetrators for training purposes, and the old stick of videogame violence with which the mainstream media so loves to beat it. 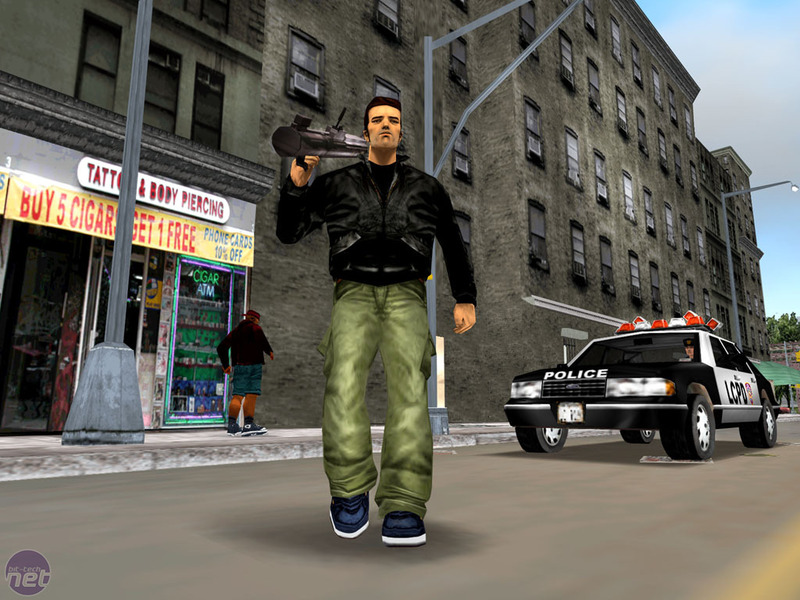 The actual changes made included the removal of a character from the game, a revolutionary named Darkel who intended to bring economic collapse to Liberty City, and a change to the colour scheme of the game’s police vehicles from a light blue (resembling that of the NYPD) to a more general black. Eidos Montreal has belatedly taken responsibility for the controversial boss fights in Deus Ex.